New Delhi, Mar 26, 2019 : After various rounds, it has finally been confirmed that the dreaded Shafi Armar is dead. Intelligence Bureau officials tell OneIndia that Armar had died in Syria in 2015 itself. He died around April 2016, the officer further confirmed. For the past two years, the Islamic State handle pertaining to India was being managed by Yusuf al-Hindi. This was believed to be an alias that was being used by Armar. 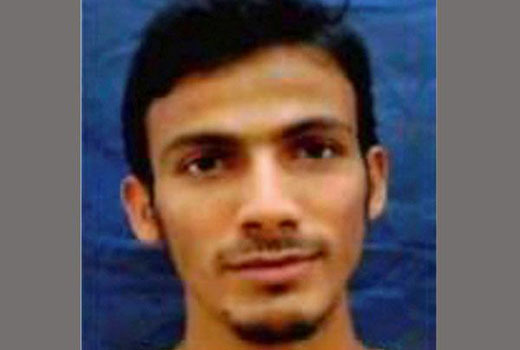 This 26 year old who is a resident of Bhatkal in Karnataka was the headhunter or recruiter for the ISIS in India. He is said to have been killed in an airstrike in Syria. Intelligence officials further confirmed that Shafi’s brother Sultan Armar was also killed in Syria in 2015. The Armar brothers hail from Bhatkal in Karnataka. Both were initially part of the Indian Mujahideen, but broke away as they did not want to work under the control of the ISI. They felt that the ISIS provided a better agenda and hence joined the outfit. He was part of the Hind camp of the ISIS in Syria. In fact Shafi had recently been in the news after a major module of the ISIS was busted in India by the National Investigation Agency. While the outfit that Shafi ran was called as the Ansar ul Tawhid, for the Indian operations he operated under the banner of Janood al Khalifa Hind.